For all the working and cultural positives of working in a thriving cosmopolitan region such as the South London and Surrey area in a location such as Ewell, this does pose challenges when it comes to developing your property with the price of land and space often meaning that extending your home is difficult and expensive. 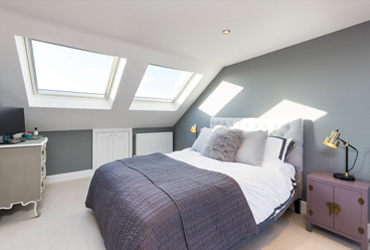 A loft conversion is a smart way to resolve the issue that many encounter when it comes to trying to add extra space to their property. The opportunity to convert loft space is one which is occasionally overlooked in favour of more complex extension work. This is sometimes due to a perception that a loft isn’t suitable for conversion because of its size or height. With Berry Construction, our skilled team are able to design a conversion which best uses the space to maximise its potential. What’s more, even with spaces which don’t offer the size for spacious living areas, a smart conversion to a practical storage space can offer the advantage of freeing space elsewhere in the house. Growing families mean that larger homes are essential. A conversion can both create a new bedroom or living space or provide the function of freeing up space in another room in the house to allow you the option of creating additional bedrooms or recreation space elsewhere in the property. Because of the growing trend of working from home, flexible hours and a more relaxed approach office culture, a space to work at home is becoming a greater necessity. As a result a carefully planned and constructed loft conversion for a purpose built office space is a great option for professionals who often work from home. By placing your new office space in the loft you also have the opportunity to create a sense of separation between working and living areas. A conversion of a loft space also provides the possibility of stunning views from the heightened position of the new living or working space. As well as being a further benefit to those who live in the property, with the appealing scenery around the Ewell area, this is an excellent chance to add further value to your property and can make for a great sales point. After you reach an idea of what you’re after from your new space and the purpose it will serve, our team are well placed to work through what’s required to get your project going. Whether it’s guiding you through the planning process, considering the different permissions that might be needed. With some listed and protecting buildings in an historical area like Ewell, making sure you are on top of any red tape issues is vital and our professional and experienced team are here to support you through this process. 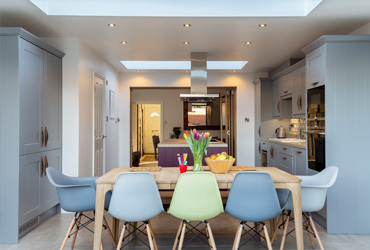 The additional value of completing a loft conversion before selling a property is significant, as not only does the additional space and facility consideration benefit any new owner, but the fact that work won’t need to be undertaken by those moving into a property often comes with its own value to buyers. In short, often buyers are willing to pay more than the cost of a conversion for the convenience of moving into a property which has the space and is already in a condition to move into. We’re confident we can provide our clients with the most professional and dependable service, with the quality of construction and finishing work and clarity and helpfulness in our communication and the way we work that can make a telling difference both to the outcome of your work as well as the experience of having your property transformed. 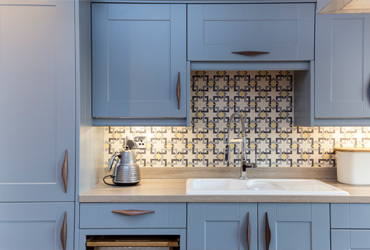 Get in touch with our team today to find out more and to see what we’re able to do to bring the potential out of your home.